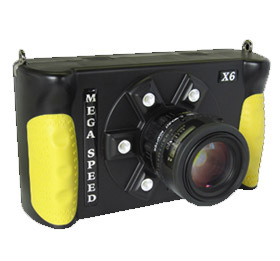 The HHC X6 is a portable high speed camera. The HHC X6 has a 640 x 480 touch screen interface and records 5000 fps at 512 x 512. Tough High Impact, light weight Industrial grade ABS body.